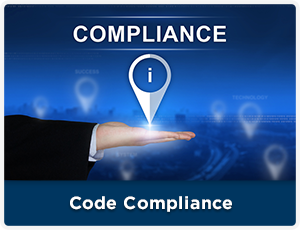 Eliminate The Need For Numerous Vendors To Accomplish Statement Of Conditions Compliance. Brand Services Is a One Stop Solution & Single Source Contractor. 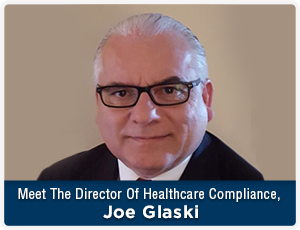 As a result of the July 2016 Joint Commission and CMS code changes and the adoption of the 2012 code, a proactive comprehensive strategy for maintaining facility compliance is imperative. One of the more significant compliance updates, changes the time allowed to correct identified deficiencies. Prior to August 2016 Organization where allowed to create a plan of correction utilizing the Joint Commission e-SOC system which allowed Organizations to establish their timelines for corrective action on all PFI’s. Today, Originations are allowed up to 60 days for resolving their life safety deficiencies identified during survey for compliance with CMS and The Joint Commission. In response to the Healthcare industries need to maintain continual compliance with NFPA 101 Life Safety Codes, BRAND SERVICES offers a complete Life Safety Building Assessment survey with documentation services including the development of Plans for Improvement and corrective action services. 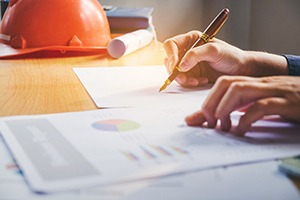 A significant part of the cost for resolving open PFI’s / Deficiencies is associated with generating the documentation, the filing process, issuing a work order, hiring a contractor, or assigning the work to your maintenance personnel. This process, in conjunction with relocating the actual deficiency and making the repair is an extremely expensive and time consuming process. BRAND’s successful compliance model addresses potential PFI’s in a more cost effective and efficient manner than our competitors. Our compliance model and approach has saved Organizations thousands of dollars in their budgets with our unique solution. To take advantage of this program or to learn more, contact BRAND SERVICES directly at www.brand-svc.com. One Stop Solution – Hiring BRAND SERVICES eliminates the need to contract numerous vendors to accomplish Statement of Conditions Compliance. BRAND SERVICES is a single source contractor; our expertise is in all facets of passive fire protection, barrier walls and code compliance. Our mission is to locate and document deficiencies if they exist, to make timely efficient repairs & corrections to reduce both the number of PFI’s and ultimately the cost of doing business. BRAND SERVICES trained staff will work with facility personnel to create a professional synergy to work as a team to keep your facility in compliance. BRAND SERVICES uses the ATG Statement of Conditions for real time compliance with Joint Commission LS.01.01.01 Conducting Life Safety Building Assessments. This system is used to create your facility’s living document – for your team to manage. This allows BRAND SERVICES to document life safety assessment findings in real time on your life safety prints and integrates the results into reporting; allowing the facility to access and maintain survey results. 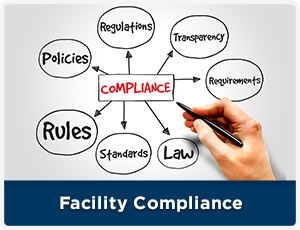 This allows BRAND SERVICES in conjunction with the facility to remain pro-active instead of re-active with regulatory compliance programs. BRAND will manage your data, upload assessment information into ATG’s cloud based system and integrate with the healthcare facility’s work order system. This will help a facility to manage their deficiencies, corrective actions, and completions in real time – be pro-active and be in a state of survey readiness for unannounced surveys! Click here to fill out our contact form or call Brand Services at 888.551.4055 today!